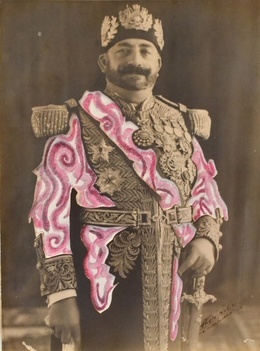 ‘The cultural reality today evinces a far more protean social and cultural condition and it seems that such impositions curtail artistic, cultural and theoretical production, which are largely complex in terms of provenance, identification and history.’ Koyo Kouoh, curator of FORUM. We began our exploration of the fair at the Magnin-A Gallery, immersing ourselves in the work of the Congolese artist Jean-Paul Nsimba Mika who focuses on kaleidoscopic narrative scenes, which critique the political system. Currently featured in the Fondation Cartier's Beauté Congo exhibition in Paris, I was seduced by their centrepiece Kiese na Kiese, 2014. 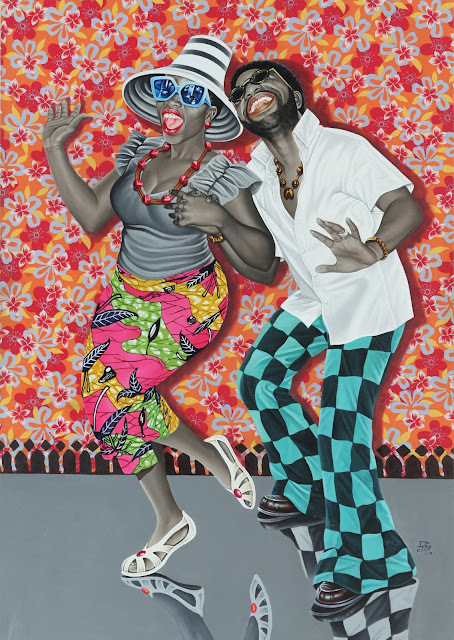 The spirited painting captured a couple dancing against a backdrop of kitsch floral wallpaper, imbued with a sense of movement that brought rhythm to the canvas. Hypnotized, I was soon transported back to the Kirstenbosch gardens of Cape Town, where we had danced to the Afro-fusion band Freshlyground. 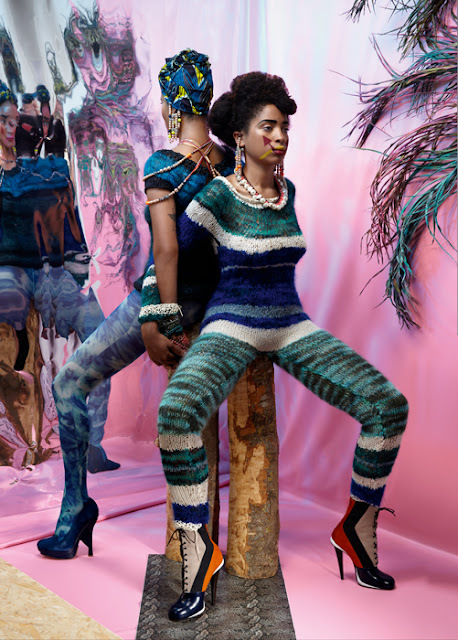 Jack Bell’s gallery exhibited the Beninese photographer Leonce Raphael Agbodjelou whose imaginative work captures the experiences of a generation caught between tradition and progress. I first saw his dynamic work at the National Portrait Gallery’s Photographic Portrait Prize and was enraptured once again as I stood before his Muscle Men series. 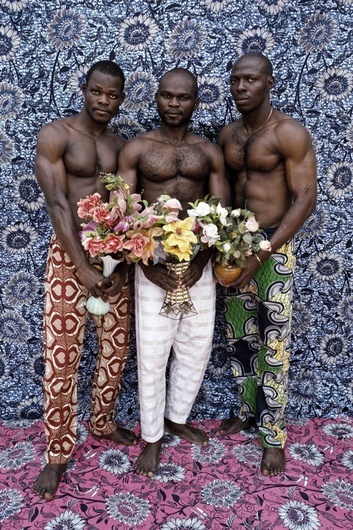 I admired the juxtaposition of the intensely male physiques with symbolic and blossoming African patterns more likely to be associated with a more effeminate subject. Flora Alexandra Ogilvy is a London-based art journalist who founded the art and culture website www.arteviste.com in 2014.